Interested in embarking on a citizen science project? One way to learn about the world around you is to take a sample. In fact, this spring the radio and podcast program, Science Friday, encouraged listeners to take samples, which sparked a variety of ideas from listeners. [t]he key idea is that a properly drawn sample will look like the population from which it is drawn. In terms of intuition, you can envision sampling a pot of soup with a single spoonful. If you’ve stirred the soup adequately, a single spoonful can tell you how the whole pot tastes. [s]ize matters, and bigger is better…it should be intuitive that a larger sample will help smooth away any freak variation. (A bowl of soup will be an even better test than a spoonful.) One crucial caveat is that a bigger sample will not make up for errors in its composition, or “bias.” A bad sample is a bad sample. From a sample, we may learn something about a population, but we must take care not to overgeneralize. For more on samples and other statistical concepts, Naked Statistics is a useful primer and one of the books that our team has enjoyed. Source: Wheelan, Charles. Naked Statistics: Stripping the Dread from the Data. New York: W.W. Norton, 2014. Image: “Pot Steaming Hot Cooking Kitchen Stove Cooker” by Republica, on Pixabay. CC0 Public Domain. One way for you and your students to get your feet wet with data is citizen science. Citizen science endeavors involve collecting data, which make such projects great activities for applying data literacy skills. In fact, citizen science is one of our themes for the second year of this project, starting in the fall! For ideas to embark on a citizen science project, check out the book, Diary of a Citizen Scientist: Chasing Tiger Beetles and Other New Ways of Engaging the World by Sharman Apt Russell. Russell writes about her project to study the Western red-bellied tiger beetle by the Gila River (pictured above) in southwestern New Mexico. This book is mix of a diary, environmental messages, and how-to guide for being a citizen scientist. Her work will inspire you to dive into a citizen science project. Not only will you learn about Russell’s research but also about other citizen science initiatives, like Galaxy Zoo and Project FeederWatch. We all want to be part of something larger. We want to be part of a family, a community, a cause. We want to be part of something meaningful. Studies show that long-term happiness depends on this engagement. I personally want to advance conservation policy. I want to do real science. I want to learn more science. It’s inspiring! This book is in the style of nature writing with both personal reflections and scientific information. Russell weaves stories and tips in with descriptions of her experiences. Reading her account makes a citizen science project seem manageable and provides a great introduction to citizen science. Source: Russell, Sharman Apt. Diary of a Citizen Scientist: Chasing Tiger Beetles and Other New Ways of Engaging the World. Corvallis, OR: Oregon State University Press, 2014. Image: “Middle Fork of the Gila River, SW New Mexico” by Joe Burgess, on Wikipedia. Public Domain. 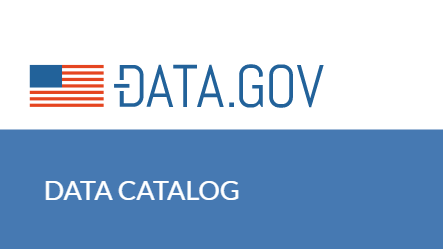 For data about a wide variety of topics, from education to environment, Data.gov is a great source. This portal for data gathered by the U.S. government offers downloadable files that you and your students can analyze. It’s a good place to get your feet wet working with spreadsheets and data to spot patterns, form arguments, and create visualizations! You can find examples (under the “Data” tab) to use with your students, and students can become familiar with finding and manipulating data by exploring this website and selecting data sets. Also, Data.gov demonstrates government transparency and open access to data. Tip: Look for CSV or .xlxs files to easily download and view in spreadsheet software, like Excel and Google Sheets. Image: Screenshot of Data.gov homepage. One of the first things that I learned for this project was that correlation does not imply causation. While it is easy to be critical of misrepresentations of causation, it is much trickier to apply the concept myself! This week, I was composing a research proposal and struggling to design my experiment so that it tests causation. My first iterations would have only revealed correlations. After working with a research professor to redesign my proposed experiment, I added a qualitative test to determine the effect of the independent variable on the dependent variable. This change would hopefully show causation if it existed. My experience taught me what a slippery concept causation is! …a positive or negative association between two variables does not necessarily mean that a change in one of the variables is causing a change in the other. For example, I alluded earlier to a likely positive correlation between a student’s SAT scores and the number of televisions that his family owns. This does not mean that overeager parents can boost their children’s test scores by buying an extra five televisions for the house. Nor does it likely mean that watching lots of television is good for academic achievement. This illuminating passage helped me grasp the distinction between correlation and causation. Televisions do not cause higher test scores but are correlated with them. Digging deeper reveals other variables — parental education and family wealth — that do affect test scores. From learning how to apply these concepts and going back to a resource, I now have a much deeper understanding of correlation and causation! Source: Wheelan, Charles. 2014. Naked Statistics: Stripping the Dread from the Data. New York: W.W. Norton. Image: “Family watching television 1958” by Evert F. Baumgardner on Wikimedia Commons. Public Domain. Her slides highlight examples of how to approach data, statistics, and visualizations. Data literacy applies to all content areas. Take a look at the infographics on Romeo and Juliet — they give plot insights through their visual representations of events. In the big picture, data literacy helps students with “understanding,” “extracting,” and “presenting” data. With so much data in school and everyday life, these competencies are key. Keep her points in mind to incorporate data literacy into your instruction. What is the Project Team Reading? Curious to know what the project personnel read to get ready for their three-day face-to-face meeting this weekend in Ann Arbor? Check out the biblography here! Image by geralt on Pixabay.com. Public domain.